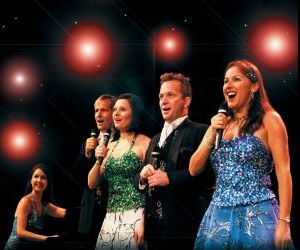 Pot-Pourri has presented concerts and theatre seasons throughout Australia and on 40 overseas tours at many prestigious venues, special events and international festivals. Pot-Pourri caters for conferences, seminars, awards nights, gala dinners, product and company launches, fashion parades, fund raising concerts and many more. Pot-Pourri has released 7 CDs, 6 of which are available at CD stores and through the group. The brand new CD celebrating 25 years is called SILVER. Click on the above album art to listen and purchase songs. Tania de Jong AM Soprano. Tania de Jong is the artistic director of Pot-Pourri. 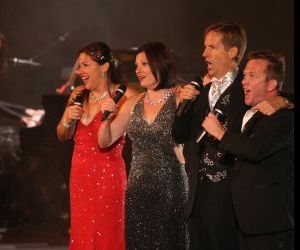 Tania is considered one of the most talented Australian soprano singers and she has performed with numerous orchestras. Tania de Jong was appointed a Member of the Order of Australia in June 2008 for outstanding service to the arts as a performer. Jonathan Morton Baritone. Jonathan Morton is a founding member and the director of Music Theatre Australia and Pot-Pourri. A man with multiple talents, he not only sings, he is an IT whiz and plays the didgeridoo. Jon Bode Tenor. Jon is an actor and a singer who has performed in Australia and around the world. Since returning to Australia, Jon has continued to work in theatre and regularly appears as guest soloist with Melbourne Opera. Rebecca Bode Soprano. Rebecca has travelled overseas and performed and toured all over Europe, Asia and America with numerous operas and productions. Rebecca Chambers Pianist. Rebecca has been playing the piano with Australia's major symphony orchestras since she was young and has performed on four continents. She was named as 1996 Young Australian of the Year and graduated from Manhattan School of Music in New York.